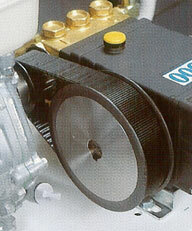 These are some of our most durable gas powered HONDA power washers in our line. 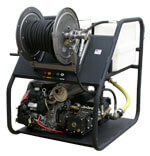 The pressure can vary between 3,500 PSI and 5,000 PSI; and the water volume can reach as much as 5.6 GPM. 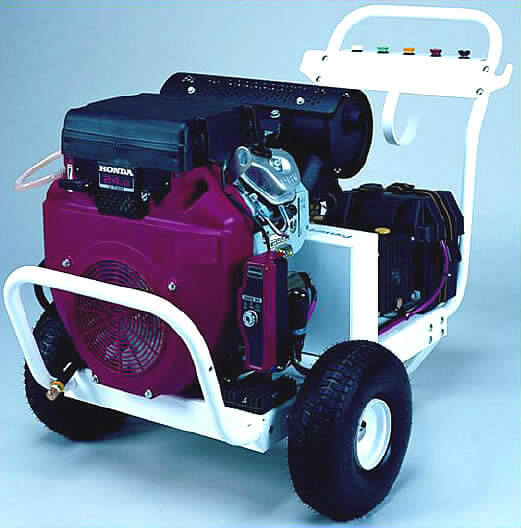 This great machine is equipped with HONDA GX engine that produces up to 27,500 cleaning units. The entire system is set up on a stainless steel frame, which is supported by four 13” pneumatic tires. 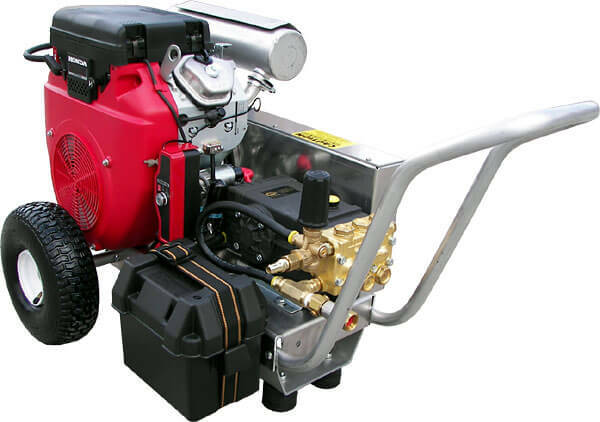 Some of the famous Honda power washers features include thermal relief valve to protect a pump from overheating, 4 spray tips that allow professional cleaning of any surface, industrial rated pumps, large gas tank for a long hour operation, 36" insulated lance for smooth and secure grip, hi-rated (5000 PSI) trigger gun, 50 FT of pressure hose for convenient powerwashing, and stainless steel frame for a rust free look of the power washer. 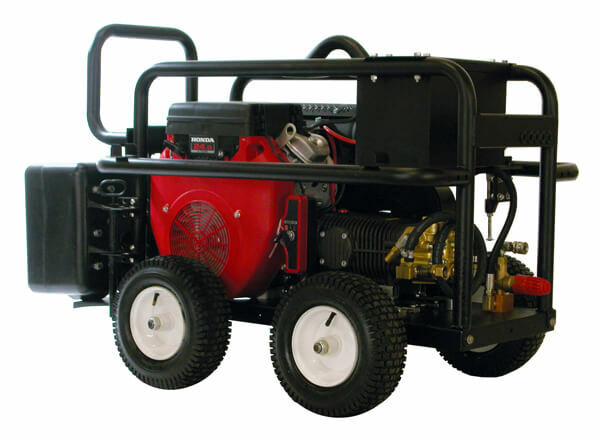 All powerwashers are factory tested before being delivered to the customer.